[toc]Pain results from injuries or wear and tear of the body. It can also result from pressure on the nerve endings. Pain can be relieved through the use of herbal remedies. Herbal remedies ensure that the body is able to recover from the injuries. Some of the herbs are pain blockers which prevent the pain related nerve signals from reaching the brain. 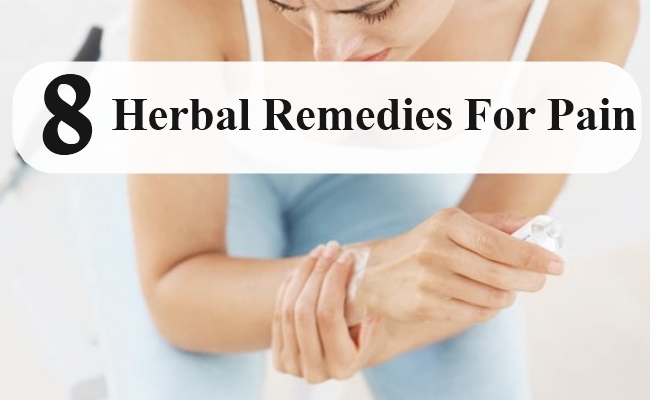 Herbal remedies for muscular pain, joint pain, arthritic pain or neuralgia all work by ensuring that the pain relief occurs through relaxing of the body. Some of the herbs are analgesics which means they effectively prevent the pain from worsening. Do ensure that you consult your doctor before opting for any of these herbal remedies. Ginger root contains anti-inflammatory properties. Due to this reason, Ginger reduces swelling and pain caused due to injuries, infections or diseases. You can make refreshing Ginger tea by adding the herb’s roots to boiling water and adding tea leaves and sugar. Drink this tea for ensuring that you get immediate and lasting relief from the pain. 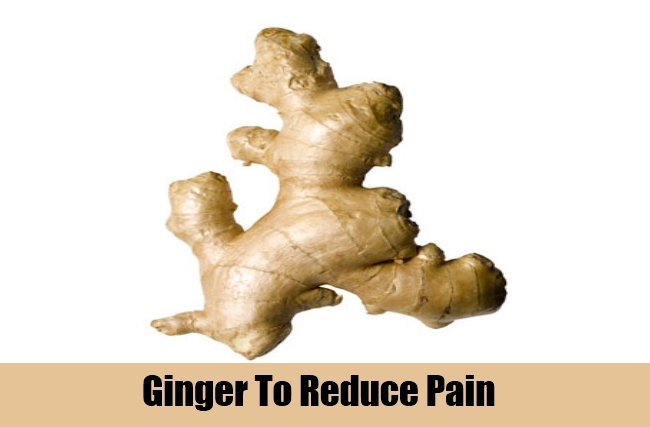 You can also use a Ginger poultice for easing the pain. Soak the Ginger root in hot water and then place the root in a cloth bag or poultice. Apply this poultice on areas of the body where you are experiencing the pain. You can get significant relief from pain using this herbal remedy. Known botanically as Valeriana Officinalis, this herb’s roots have remarkable curative properties. Besides soothing the tense muscles of the body, Valerian root also contains the pain relieving abilities. Valerian root can be crushed in a blender and added to tea, coffee or hot drinks. The taste of the root is a bit pungent so you should ensure that you put some sweetener before consuming the drink. 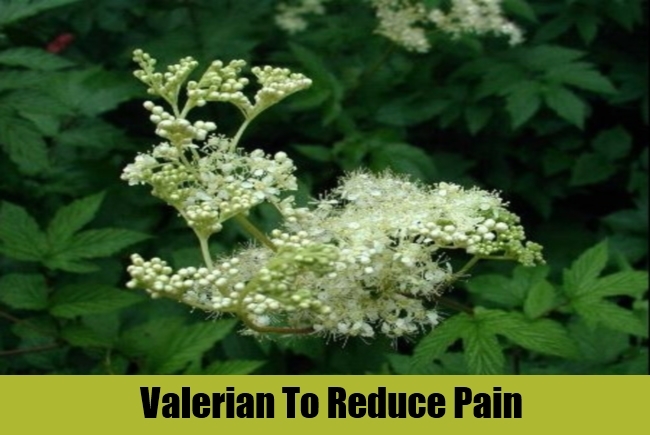 You can also use Valerian root extract for pain relief. Valerian root blocks pain and prevents nerve pain from attacking your body as well. Valerian is a herb which relaxes the nervous system and it is very beneficial for pain management. 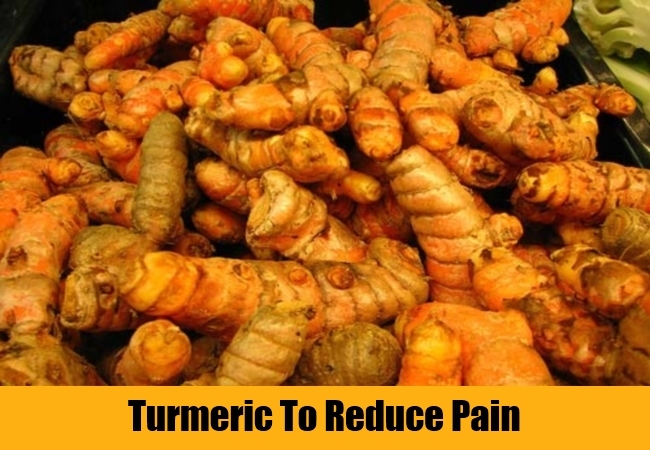 Turmeric is very useful as a remedy for pain management. It improves the circulation, prevents blood clots and also relieves aches and pains. This herbal remedy has been used since ancient times as a cure for joint pain, swellings and other such conditions. This is because Turmeric possesses anti-inflammatory properties. Curcumin which is an active ingredient in Turmeric contains certain enzymes which reduce inflammation. So, if the pain is caused due to swelling and injuries, it can be relieved through the use of Turmeric. You can add powdered Turmeric to a glass of hot milk and consume this for best results. You can also apply Turmeric paste on the parts of your body which are affected by pain, in order to relieve the soreness, throbbing ache and inflammation. 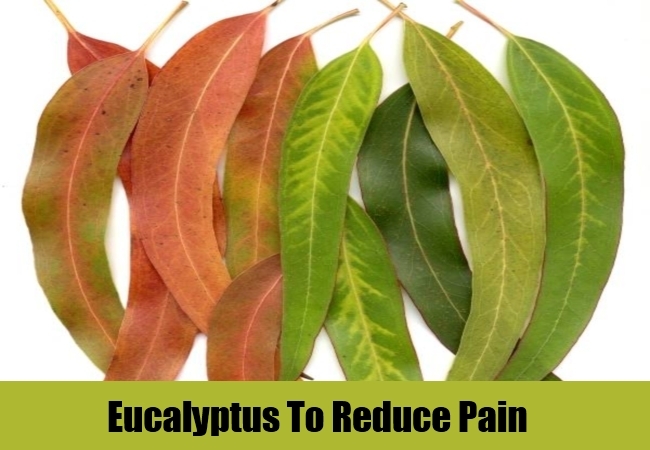 Eucalyptus oil contains natural pain relieving properties. This oil can be heated and diluted with some olive, almond or avocado oil and then applied on the areas of your body where you are experiencing pain. Eucalyptus oil should never be used in concentrated form. There should always be some carrier oil mixed with it to ensure its effectiveness. Soothing the pain through a massage has its benefits. Massaging the area where there is pain improves the circulation. This ensures that nutrients which the body needs to recover from a disease or injury reach the body through the blood flow to that part of the body. Eucalyptus oil also heals infections as it is antiviral in nature. Dioscorea Villosa is the Latin name of this herb. It is very effective as a pain relieving agent. 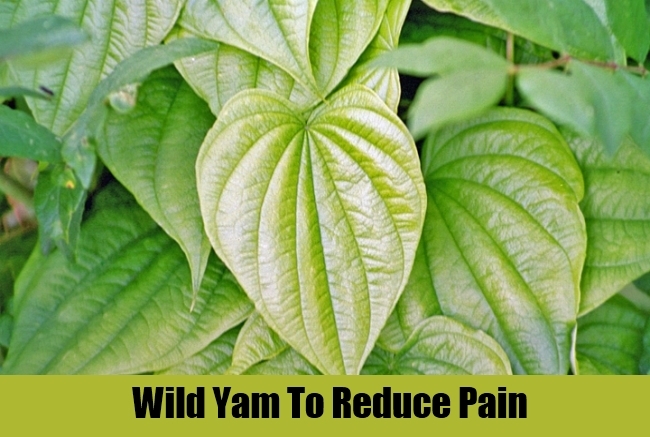 Wild Yam possesses anti-inflammatory as well as analgesic properties. It is very effective for soothing nerve pain. The root of this herb can be used in a poultice to relieve swelling and pain. Wild Yam root should be soaked in hot water till it becomes moist . Then, you should place the root in a poultice and apply it on the areas which are paining. The poultice should be applied regularly to obtain lasting relief from the pain. You can also soak the herb’s roots in water for about 20 minutes and then dip a compress in the water containing the root. Apply this compress to different parts of your body which are painful and swollen in order to obtain relief. Filipendula Ulmaria is the botanical name of this herb. It is useful for relieving pain and lessening inflammations. Salicylates are chemical compounds found in Meadowsweet herb which relieve pain as effectively as medication. 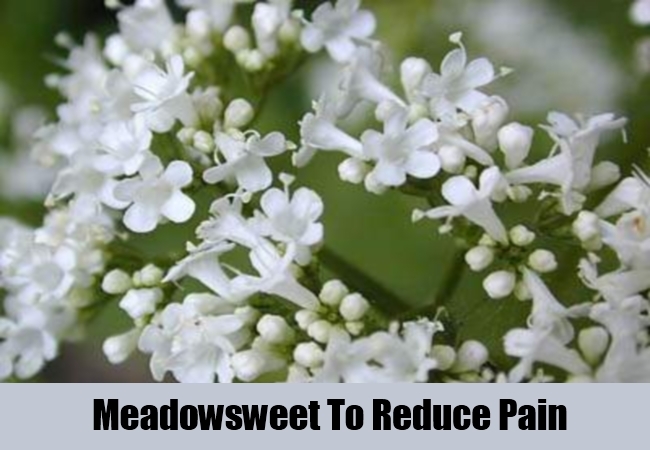 Meadowsweet tea can be consumed regularly in order to get quick relief from pain. You should add the dried leaves of this herb to boiling water and let the tea brew for about 20 minutes. Then, you should add natural sweeteners or honey to this concoction and consume it regularly for best results. Meadowsweet leaves and roots possess most of the healing properties of this herb. You can also take this herb in the form of supplements. The bark of this herb contains magical pain relieving properties. 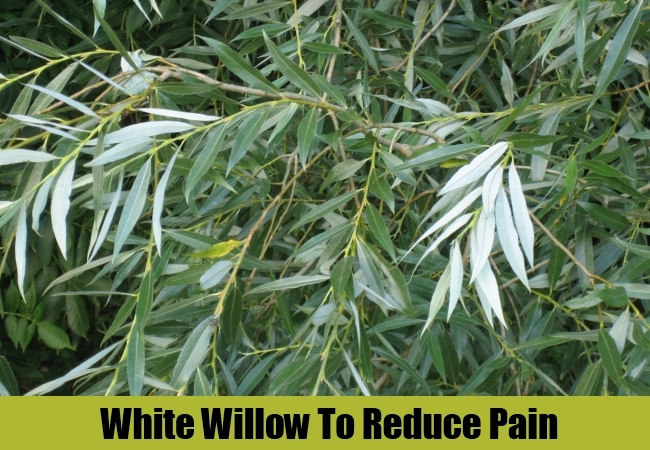 White Willow bark has anti-inflammatory properties and it is especially helpful in healing joint pain. White Willow bark contains a chemical compound salicin which is also found in pain relieving medications such as aspirin. This is why it is a very effective remedy for easing pain. An advantage of using White Willow bark as a herbal remedy is that it does not contain any side effects unlike medication. For example, aspirin erodes the lining of the stomach if it is used constantly. In contrast, White Willow bark can be used effectively for acute and chronic pain for as long as it is needed. You can take White Willow bark extract for good results. This South African herb has many benefits. One such benefit is that it is extremely effective in relieving pain. It eases pain caused due to muscular sprains and injuries. This herb contains iridoid glycosides such as harpagide and harpagoside which are analgesic( pain relieving) in nature. This is why it is a very effective herbal remedy for easing pain. It also possesses anti-inflammatory properties which help to reduce the swelling and prevent further damage to the painful areas of the body. Devil’s Claw can be taken in the form of an extract to obtain complete and lasting relief from pain. You can also take it as a tincture. Do not use this remedy if you are taking medications for blood thinning.